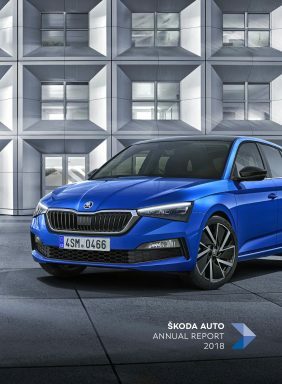 Mladá Boleslav, 19 March 2019 – ŠKODA engineers are extending the brand’s signature range of Simply Clever ideas, which make the daily motoring lives of ŠKODA owners easier. The latest addition is an integrated funnel in the windscreen washer tank lid, due to become available for the first time in the new SCALA. 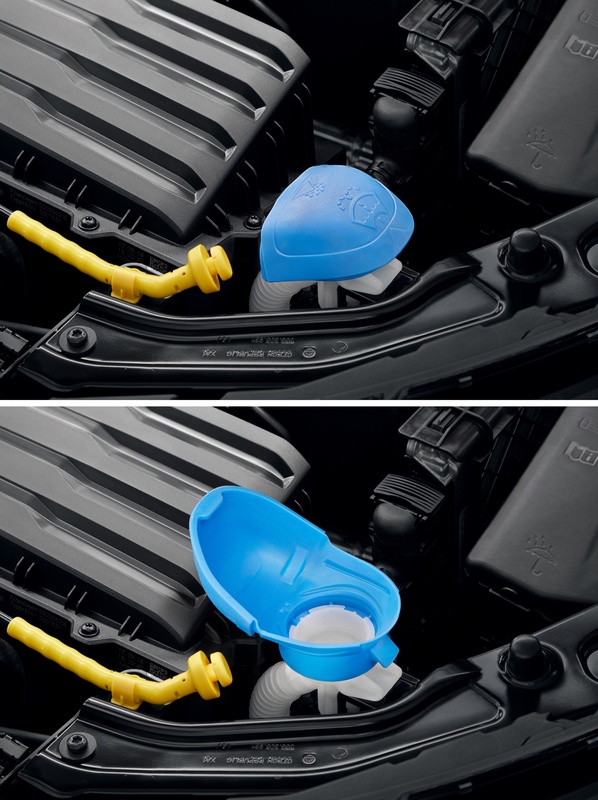 Any car owner has probably been there: when trying to top up the screenwash, half the liquid seems to go elsewhere, dripping through the engine compartment and onto the ground. 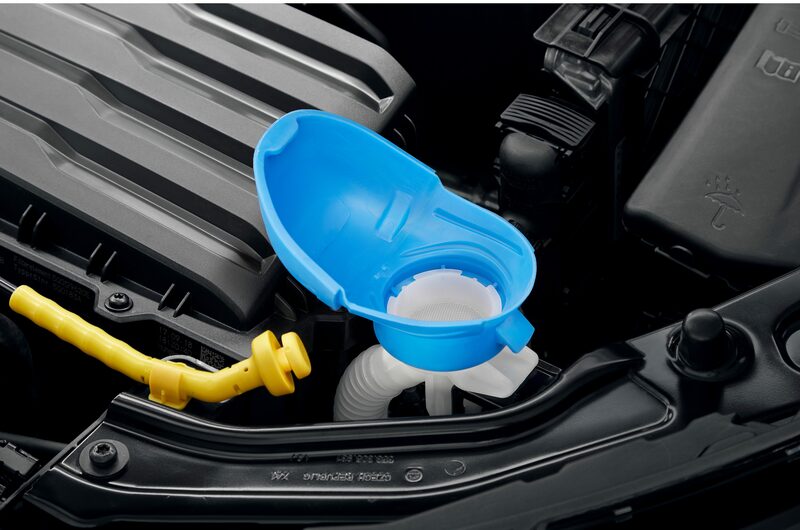 To prevent this common problem, the windscreen washer tank in the new ŠKODA models will come with an innovative lid, which quickly and ingeniously turns into a funnel enabling convenient and efficient refilling with screenwash. Simply Clever. The windscreen washer tank with funnel lid will be deployed for the first time in the new ŠKODA SCALA. This new compact model will be in the showrooms from May. The new Simply Clever feature will in future also be included in the ŠKODA KAMIQ city SUV and other model series. In addition, it will become available for all the other models from the Czech brand as part of the ŠKODA Genuine Accessories range. The Simply Clever concept first arose in 2003, when ŠKODA presented its ROOMSTER concept car at the Frankfurt Motor Show. Intelligent equipment features such as the sliding rear seat bench and the swivelling front seats were particularly well received. This positive feedback inspired ŠKODA engineers to come up with new, clever ideas time and time again – the umbrella in the front door and the ice scraper in the fuel filler flap, which now also includes a tyre tread depth gauge, have become bona fide classics. By now, the range has grown to more than 60 Simply Clever features, which include a waste bin in the door trim, a glasses compartment above the rear-view mirror, and all-round door-edge protection. Add to that a bottle holder in every door, the Easy Open cup holder in the centre console and the document net positioned on the inside of the front passenger seat, within easy reach of the driver. The practical hi-vis vests as well as the integrated clothes hangers and folding tray tables benefit all occupants. Other items that make everyday motoring that little bit easier include bag hooks in the boot and a car park ticket holder on the A-pillar.